Don't forget to enter the My Memory Suite Giveaway. It closes THURSDAY, SEPTEMBER 8th at 10pm! 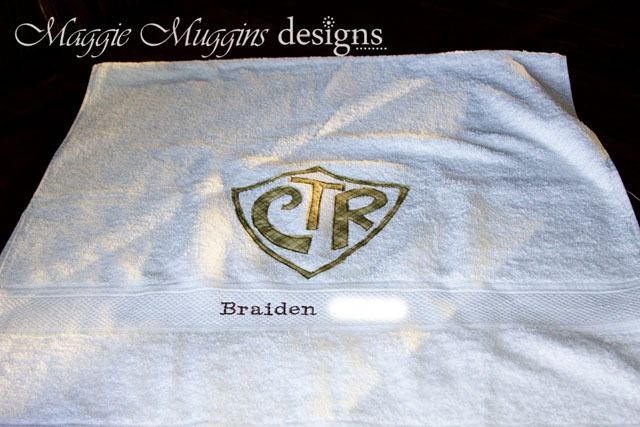 I have both a niece and a nephew that turn 8 this year and I was so excited to finally have a chance to make some "Baptism Towels". 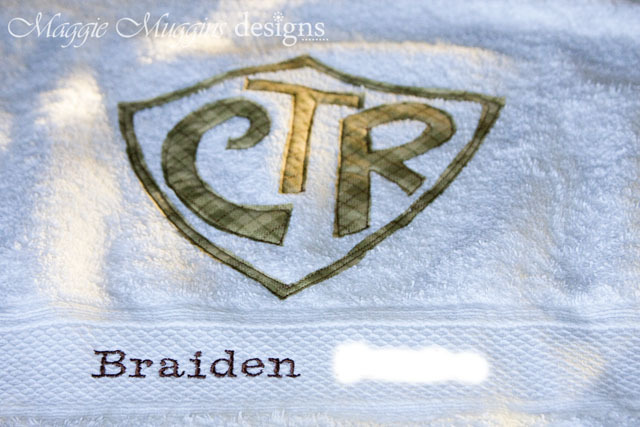 I had seen this idea a few years ago, but I didn't have an embroidery machine then. Now I do. 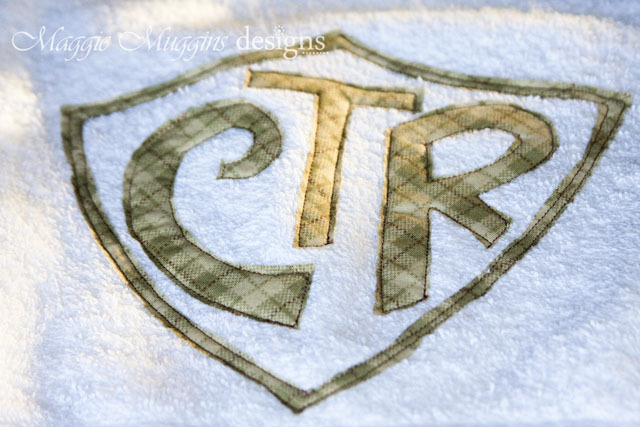 I looked up all sorts of ideas for the towels, but then fell in love with this CTR appliqué. For those of you not familiar with the LDS term "CTR" it is a primary song and motif that stands for "Choose the Right". 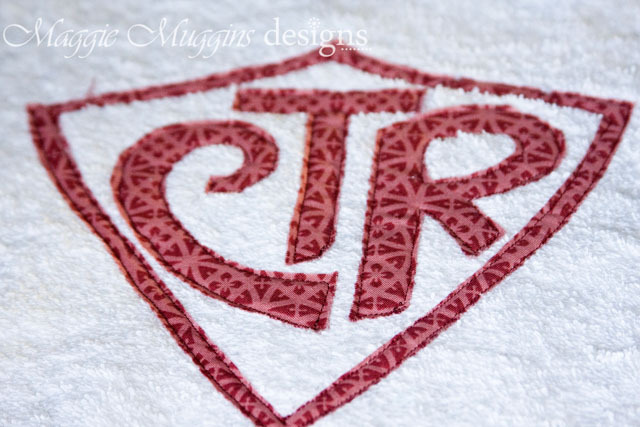 I decided to combine the appliqué with an embroidery of their name to personalize the towels. I blanked out the last name for their privacy, of course. I love how both of these turned out. 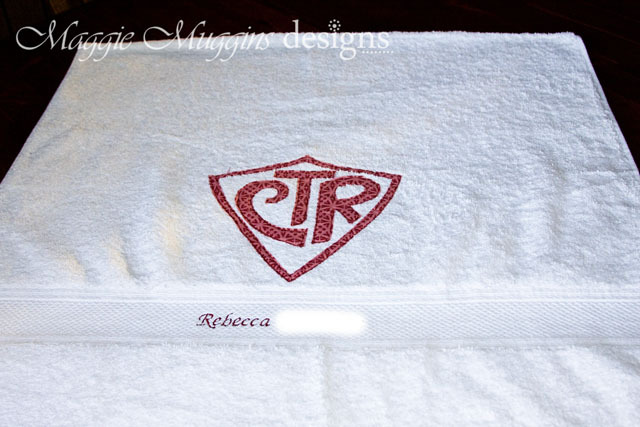 It was super easy to make, and my niece, jumped for joy when she realized that this was the towel she would use right after getting all wet from being baptized! Greater still than watching her jump for joy was watching her, all dressed in white, get baptized and become clean and a member of God's Kingdom! 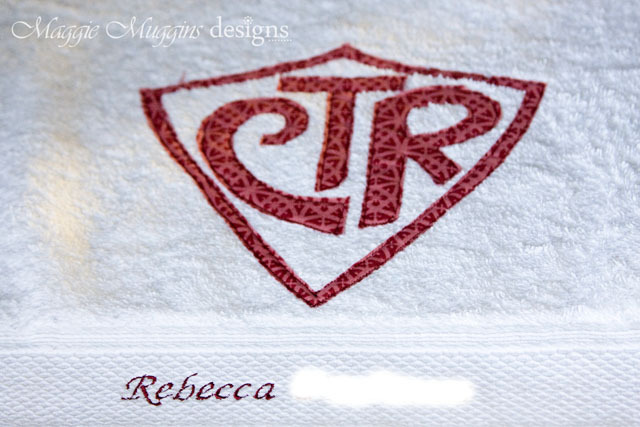 Where did you get the ctr file? Great idea! My Memory Suite Giveaway Winner!!! *Closed - My Memory Suite Giveaway!